ALC’s Annual Conference is the perfect blend of education, networking, and fun. You can expect invaluable education on the trends impacting the industry and your company. You will also have numerous opportunities to tap into the knowledge of successful business owners and make connections with like-minded professionals with whom you can share your experiences, ask questions, and brainstorm solutions, even after the event is over. 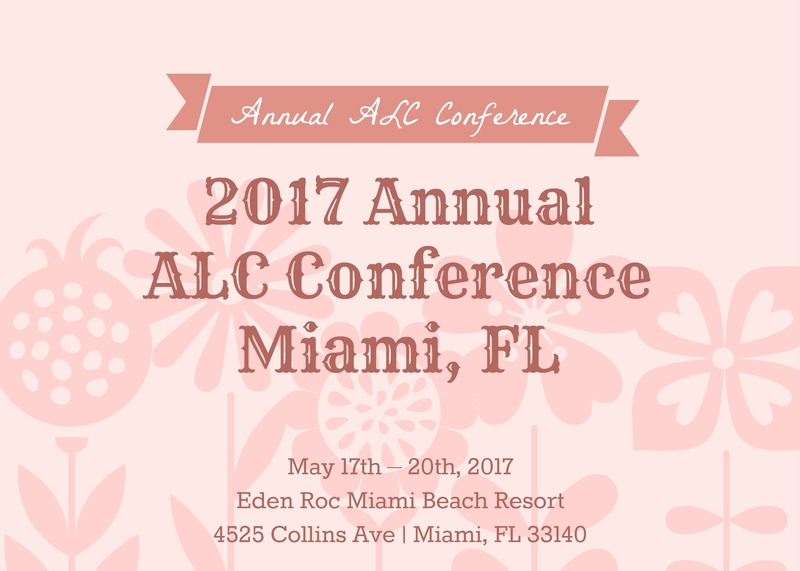 When is the 2017 ALC Conference? Where is the ALC Conference? 11:00 am–Noon – Future-Proofing Your Company: What Does It Take? 11:00 am–Noon – Can You Protect Yourself From an Employment Audit? Sayed Ali, Interpreters Unlimited Inc.
Carla Itzkowich, International Contact, Inc.
Francesco Pagano, Interpreters and Translators, Inc.
3:00 pm–4:00 pm – Interpreting Quality and Interpreter Performance Weak Spots: A Healthcare Interpreting Discussion with Gabriela Flores, M.B.M., Certification Commission for Healthcare Interpreters; Children’s Mercy Hospitals and Clinics of Kansas City. Also welcoming, Natalya Mytareva, M.A., Certification Commission for Healthcare Interpreters.